Eggplant AI is a web application that can be accessed via a web browser. This section provides step-by-step instructions to install and license Eggplant AI on Windows and Linux operating systems. If the postgresql-server package is already installed on the Linux operating system, you may not be able to install Eggplant AI. Download the Eggplant AI server installation file from the Eggplant AI Downloads page. Double-click the downloaded installation file to launch the Setup wizard. Click Next to begin installing Eggplant AI. On the Installation Directory screen, use the default installation directory (C:\eggplantAI) or use the file browser to select the desired installation directory. Click Next to continue your installation. Important: If you change the installation directory from the default selection, the directory name must not contain spaces. (Optional) If this is a fresh installation, an upgrade from a previous Eggplant AI version, or an upgrade to an Eggplant AI version newer than 2.1, the Existing database screen appears. 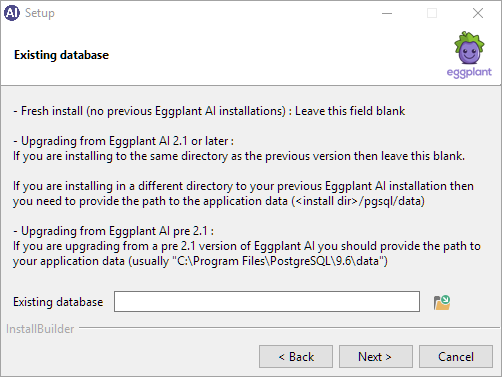 If you are installing Eggplant AI 2.1 on top of an existing Eggplant AI 2.1 installation, the Existing database dialog box does not appear, and the installation continues with the next step. If this is a fresh installation, leave the Existing database field blank. If you are upgrading from a version of Eggplant AI earlier than 2.1, add the path to the application data for the installed version. For example, you might add C:\Program Files\PostgreSQL\9.6\data to the Existing database field. If you are upgrading from Eggplant AI 2.1 to a later version, and plan to use the same directory as the previous version, leave the Existing database field blank. If you are upgrading from Eggplant AI 2.1 to a later version, and plan to use a different directory than the previous version, add the path for the current application data (<install directory>/pgsql/data) to the Existing database field. Click Next to continue to the next screen. On the Ready to Install screen, click Next to continue or Back to return and make changes. If you click Next, the installation begins. The installation step takes some time to complete. See Licensing AI to open Eggplant AI and manage your Eggplant AI licenses. Tip: Although Eggplant AI is not supported on Windows 7, the only known problem is a port conflict on port 80 with Microsoft Internet Information Services (IIS), which is installed on Windows by default. Option 1: Remove IIS or configure it to start manually (rather than having it start automatically). Download eggplantai-2.3.2-1.x86_64.rpm (installation package ) from the Eggplant website. The RPM package is installed in the self-contained folder /opt/eggplantai along with the user postgres and group postgres in the home folder /opt/eggplantai/db. For more information about systemd services, see RHEL's official documentation. nginx.conf: Includes the main Nginx configuration. nginx.conf_ssl: Includes a sample SSL configuration for HTTPS. See the official NGINX documentation for more details. release-insights.ini: Includes the main configuration file to collect data for Release Insights. For information about configuring data for Release Insights, contact Eggplant support. Eggplant AI has been tested to work with the default Security-Enhanced Linux (SELinux) enforcing profile for RHEL 7.6. SELinux enables system admins to define and access transition rights of users, application, process, and files in a Linux environment. If you suspect a possible issue, disable SELinux temporarily and include the results of running without SELinux for reporting the problem to Eggplant support. To display the login prompt from the computer on which the Eggplant AI server is running, enter http://localhost. 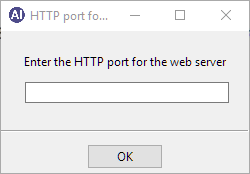 To display the login prompt from a remote computer, enter http://<serverIPaddress> where <serverIPaddress> is the Eggplant AI server's IP address or fully qualified domain name. Note: To obtain the IP address of the Eggplant AI server, see your local IT administrator. Distribute the URLs from this step to all users requiring access to this Eggplant AI application. Eggplant AI prompts you to set up an administrator account. Enter an email address (username) and password for the account. 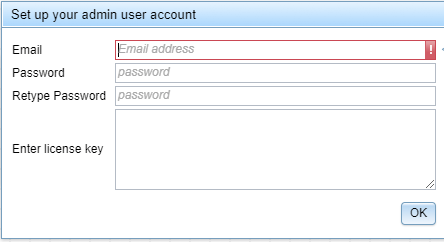 After you configure this administrator account, you can use it to set roles for other users requesting access. See Approving New Users for more information. Enter a license key. You can generate this in the Greenhouse Licensing Web Portal. When your information is entered, click OK.
After your account is created, a new login dialog box appears so that you can log in to Eggplant AI. As an Eggplant customer, you have access to the Greenhouse licensing web portal, where you can review and create available license keys as well as download generated licenses for your account. Note: When you're generating a license key in Greenhouse, render the Host ID with colons and not hyphens, i.e., 0D:D2:22:FA:E7:A7 versus 0D-D2-22-FA-E7-A7. You can also use this portal to submit questions to support and view information about any support cases. You should receive your initial Greenhouse login information from your account manager. If you don't have a password, you'll need to contact your account manager or sales@eggplant.io. If you need an Eggplant AI license, contact your account manager or Eggplant Support. Use the instructions below if you need to uninstall Eggplant AI. Windows: Choose Start > All Programs > Uninstall Eggplant AI. Click Yes when prompted if you want to uninstall Eggplant AI and its modules. Click OK after the removal process is done. If you decide that you want to do a complete Eggplant AI removal (after following the above steps to uninstall Eggplant AI), delete the C:/eggplantAI directory.